Booth #65 - Our focus this year will be Discover´s LYNK Communication Gateway. 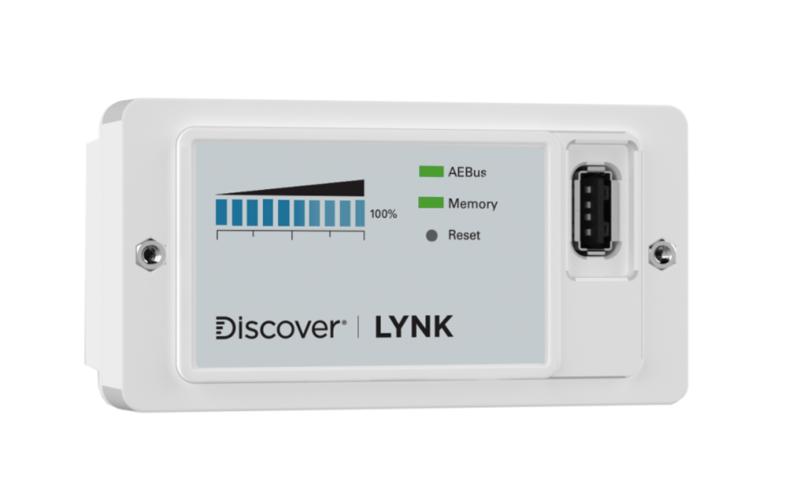 Adding LYNK functionality to a solar system unlocks the full potential of Discover AES batteries. This will be our second year participating at the NABCEP CE Conference. We’re excited to share and learn about the latest developments in off-grid solar from top solar professionals that are actually doing the installations and talking to the homeowners. 2018 was a strong year for Discover Battery and we are excited to learn more about our installer’s needs: what we can do to helps them more profitable and what we can do to make their jobs easier. We consider this as a listening event from the voice of the customer. In our opinion, NABCEP is one of the most respected groups in the renewable arena. We are not just coming to show, we come humble and ready to learn! 1) From Lead to Lithium. An Installer’s Perspective. Presented by Discover Battery (Wednesday, March 27, 2019 9:00am-10:30am). We all know and have heard of the benefits of lithium batteries for residential solar, but don’t just take it from us, hear it from an installer’s perspective. Meet Jason Andrade from West Coast Sustainables and hear, first-hand, benefits and challenges of changing energy storage chemistries. This session will compare costs vs. life expectancy, conversion efficiency, energy density, installation complexity and maintenance requirements, including battery system design and installation tips and tricks. 2) Lithium Batteries as a Component in your Energy Storage. Inverter/Charger System. Presented by Discover Battery (Wednesday, March 27, 2019 4:30pm-6:00pm). It’s a broad, though technical overview of Discover (LFP) LiFePO4 LFP batteries. Topics covered will include a product overview, specifications, reliability and safety and design, with an operational emphasis on the benefits and challenges of LFP vs Lead Acid batteries today. Our focus this year will be Discover´s LYNK Communication Gateway. Adding LYNK functionality to a solar system unlocks the full potential of Discover AES batteries. LYNK “closes the loop” allowing the Battery Management System (BMS) to broadcast battery system status, auto-populate battery set points, and dynamically manage the charge and discharge configurations of the world’s leading, off-grid, inverter-chargers and solar charge controller systems over their native communication protocols. LYNK enables direct command and control communication between the Discover AES battery and leading inverter brands turning a good system into a great one with real-time SOC reporting and up to 25% improvement in recharge times. As a critical component to any off-grid, micro-grid or whole home backup system, Discover has an obvious focus in battery and power electronics development and trends. We look forward to hearing from installers and seeing what our competitors are up to. We love to participate in the panel discussions. We have already eyed up Evolving Grid Independent Systems & Building your Business to Meet and Exceed Customer Expectations. Our goal is to continue to exchange knowledge with the goal of continuous improvement. The NABCEP conference is one way we’re keeping abreast of developments in the ever-evolving solar industry and it provides a unique opportunity to catch up, in person, with all our off-grid friends!